​A limited-edition artist’s book by one of the most respected indie-underground cultural icons of our time. 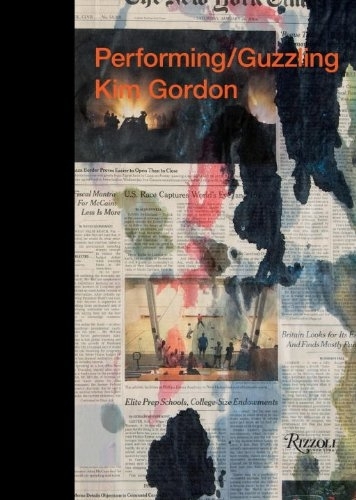 An artist’s book by visual artist and legendary indie rocker Kim Gordon, this volume is an intoxicating look into Gordon’s dreamy visual world. Watercolors, paintings, photographs, and written word combine to create a portrait of an artist’s work inspired by popular culture. The first 3,000 copies include a beautifully printed, limited-edition signed print by Gordon. This luxurious yet affordable package combines layers of media to create an extension of the artist’s portfolio, with written contributions by artist Jutta Koether and writer Hilton Als. Kim Gordon: Performing/Guzzling is the first in a series of books by Rizzoli and Nieves that consists of beautifully designed books by artists, photographers, and designers who have substantially contributed to the texture of artistic culture. Each project will be an extension of the artist’s portfolio.